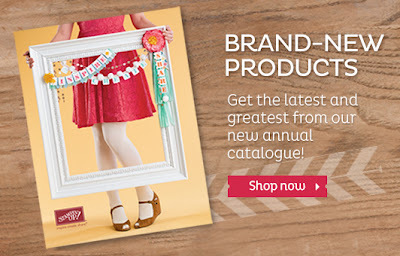 There is lots to see & do there. 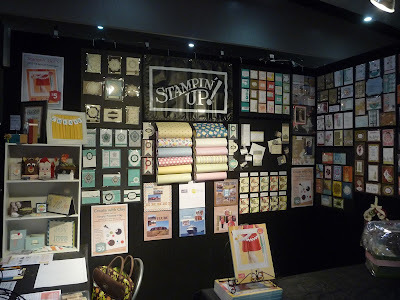 Why not drop in & say Hi! 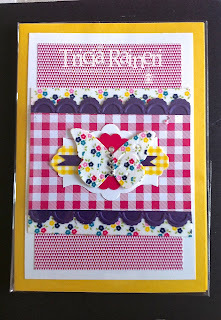 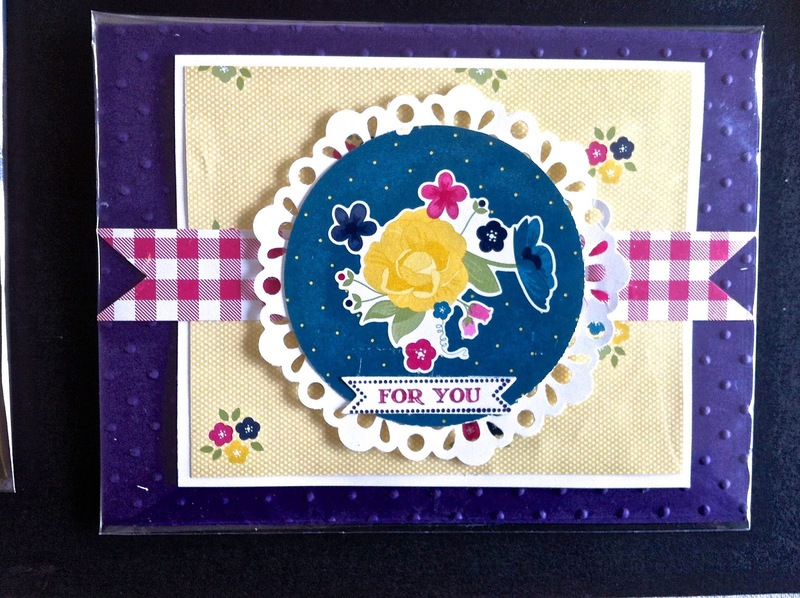 For the cards I have been creating, I have been enjoying using the new Gingham Garden Washi tape. 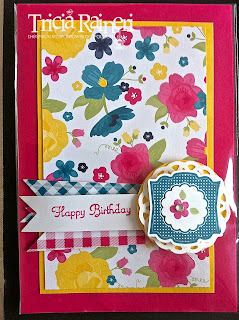 I love that it coordinates with the DSP. 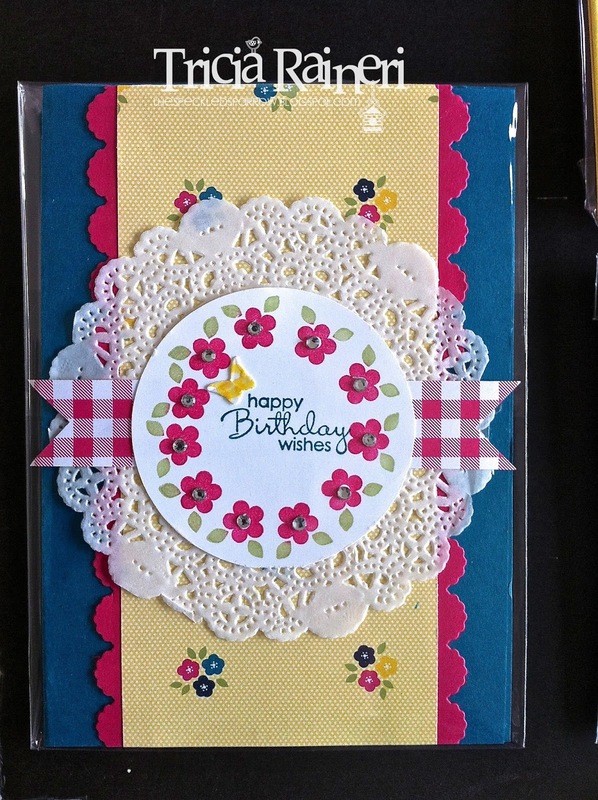 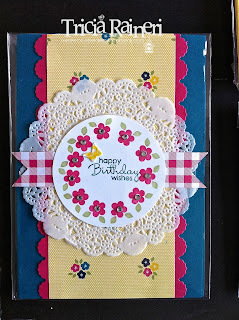 All three of these cards today feature the Washi tape. 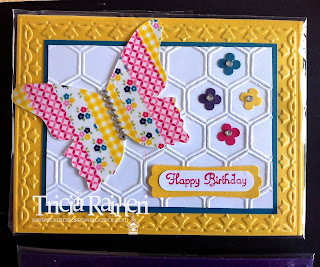 Cool Tools: Big Shot, , Bitty Banner Framelits(129267), Basic Rhinestones(119246), Delicate Doilies Sizzlets (126999), Dimensionals(104430). 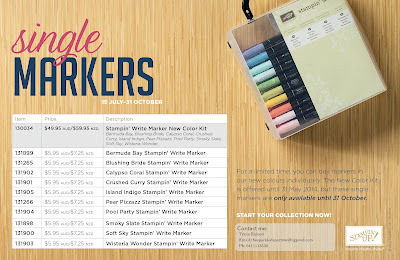 Paper: Whisper White(106549), Island Indigo(124329), Melon Mambo(119980), Daffodil Delight(121680)Gingham Garden DSP (129310). 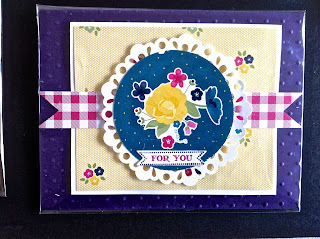 Framed Tulips EF(121809), Delicate Doilies Sizzlets (126999), Bird Builder Punch(117191), Dimensionals(104430), Saleabration Island Indigo ribbon (retired). Paper: Whisper White(106549), Daffodil Delight(121680), Melon Mambo(119980), Elegant Eggplant(108614),Gingham Garden DSP (129310). 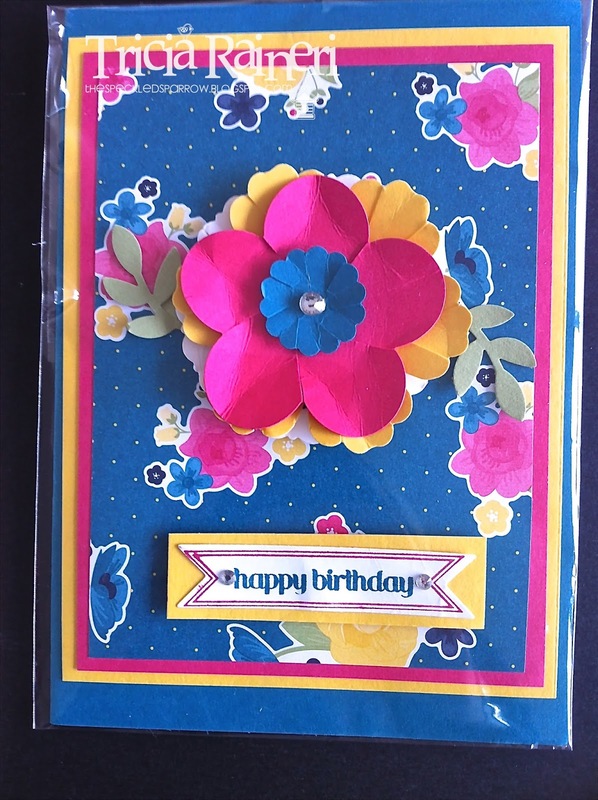 1 3/4 Scallop Circle Punch(119854), Adorning Accents Edgelits(125595), Adorning Accents EF(125601), BasicRhinestones(119246), Gingham Garden Washi Tape(129314). 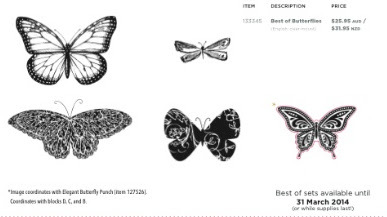 July Best of 25 Years Stamp set is the the Best Of Butterflies! 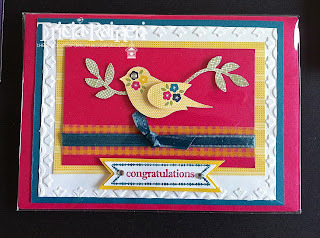 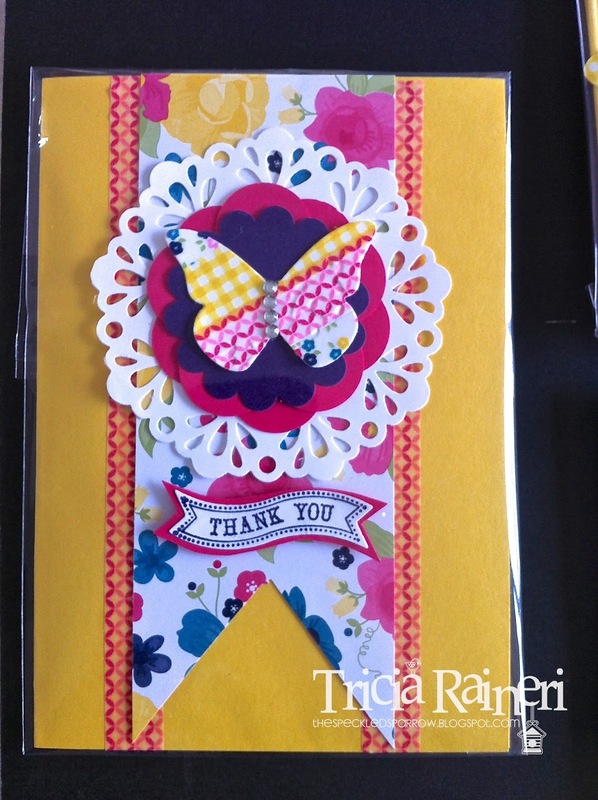 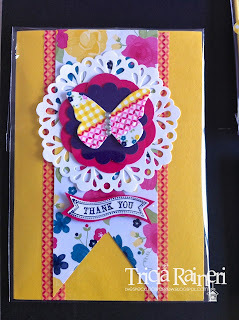 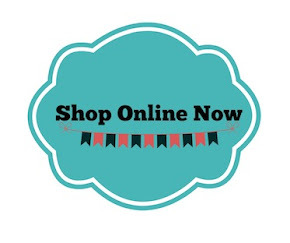 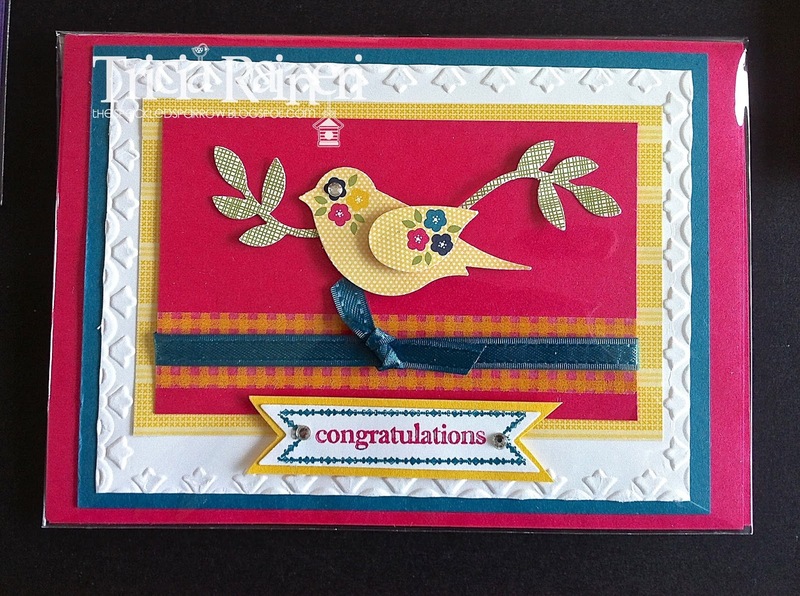 Every month from June 2013 - April 2014 Stampin' Up! 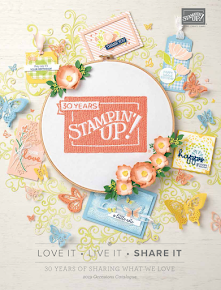 is combining some of our all-time-favorite stamps with a new, never-before-seen stamp to create a monthly “Best of” stamp set. 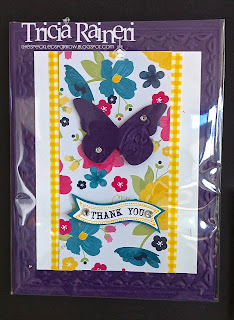 Best of Butterflies is our July offering, but don’t forget to check out the sets from previous months as well! 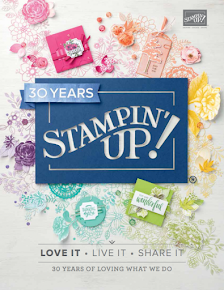 CONTACT ME Now or Visit MY ONLINE STORE to order your Best Of 25 Years Stamp sets! CLICK HERE for a PDF version of this promotion. Contact me today to grab your greeting set or head to MY ONLINE STORE now!